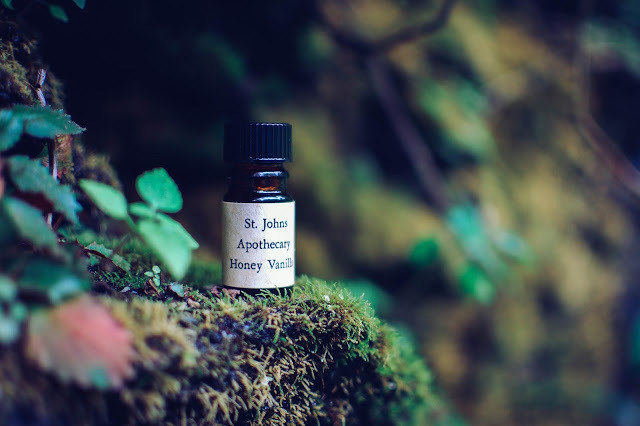 St. Johns Apothecary Honey Vanilla by Arcana Wildcraft- Notes: A classic single note apothecary oil with the luscious essence of Madagascar honey vanilla. 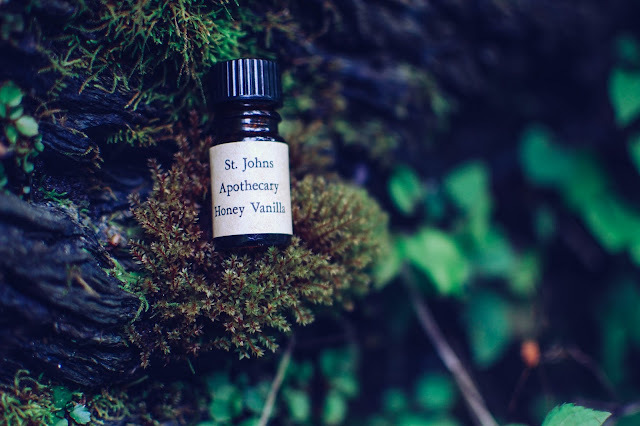 For a single note scent, St. Johns Apothecary smells wonderfully complex and lush. In the amber glass it holds honeyed vanilla indeed, but also a a waxy hint of honeycomb and subtle skin musk. Wet on the skin, the honey projects the meadow softness of sweetgrass and sweet hay. The vanilla in the honey is of the black wrinkled pod, earthy and a bit dark. As Honey Vanilla dries and morphs, some of the beeswax pulls through again, then further down the journey it emits a honeyed tobacco aura. St. Johns Apothecary Honey Vanilla smells vintage and sweet, aged honey with bits of comb floating about and vanilla tobacco leaves curled in glass jars in St. Johns Apothecary. This one would make for a wonderful layering scent too. Thinking it might go well with patchouli or amber. Do you layer scents? What are your favorite combos? I had this in a soap and it was super strong, especially for a natural. The ground vanilla beans were extra exfoliating also, approaching Filthy Viking level.